Unsettled Manchester United midfielder Paul Pogba is continuing to attract interest from more of Europe's top clubs, with his former club Juventus reportedly now interested in re-capturing the services of the Frenchman, according to Tuttosport. Paul Pogba has returned from a World Cup victory in Russia this summer to a storm of controversy at his club Manchester United. Despite Jose Mourinho handing him the captaincy at the start of the campaign against Leicester, a game in which he scored a penalty to cap off a fine performance, Pogba has openly discussed the breakdown in his relationship with the manager. After the game, the midfielder insists he will always give his best for those that “trust” him, which suggest his relationship with the manager has hit a new low. It would not be the first time that Jose Mourinho has unsettled a player, but Pogba is widely regarded to be one of the best in his position in the world and the queue of clubs interested in signing him is getting longer every week. Now, it is reported that Italian champions will join Barcelona in the race to sign the Manchester United 25-year-old next summer. Still a relatively young player, a big money move back to Juventus would not be a rip-off for the Italian side. Failing to win the Champions League for many years now, Pogba can be the spark that Juve need to bring the trophy back to Turin. Playing alongside world-class stars such as defender Giorgio Chiellini, forward Paulo Dybala, and one of the greatest players of all-time in Cristiano Ronaldo (who recently signed from Real Madrid for Juventus in the summer), Pogba will be joining and enriching one of the best squads in the world. Not to mention that Pogba has played at Juventus before, so will have no trouble adapting to the style and culture of Italian football, if the deal does go through. 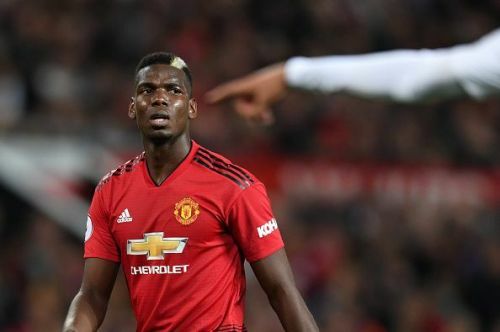 It is still early days with this rumour, but if proven to be true then it will be hard for Pogba to turn down playing competitively in the Champions League will Ronaldo, instead of the likes of Phil Jones and Victor Lindelof. If Manchester United fail to qualify for the Champions League next season, it is almost certain that Pogba will leave, and Juventus will be one of the heavy favourites to re-sign the Frenchman, and bring him back to Turin.